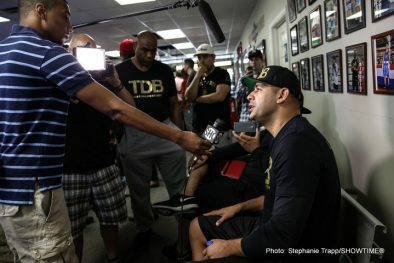 BIRMINGHAM, Ala. (June 10, 2015) – Unbeaten Heavyweight World Champion Deontay Wilder, heavyweight challenger Eric Molina, along with co-headliners Puerto Rican junior lightweight Jose Pedraza and Russian amateur standout Andrey Klimov, kicked off fight week working out for the press at Round 1 Gym in Birmingham, Ala. in advance of their SHOWTIME CHAMPIONSHIP BOXING® bouts this Saturday, June 13, live on SHOWTIME (9 p.m. ET/6 p.m. PT) at Bartow Arena in Birmingham, Ala.
Also in attendance Wednesday were, undefeated world-ranked contenders Ivan “El Terrible” Redkach and Dejan “El Dinamita” Zlaticanin, who will square off in a 12-round eliminator earlier that night in the main event of SHOWTIME BOXING on SHO EXTREME® (7 p.m. ET/PT, delayed on the West Coast). “This week has been fun. It’s been exciting. Even to see the people and faces. I’m looking forward to Saturday. It’s always the hard part when you have to wait. Especially when you’ve been training hard and it’s real intense. Everything has been great so far, and I’m glad it’s finally here. I’m looking forward to making history being that this is the first title fight in the state of Alabama. And I’m gonna put my name on it first. “Training camp has been just like any other camp. When I’m at camp, I’m always giving my all, 110 percent. Because when it’s time to go battle, I gotta give 110 percent. I have to perform better than I did the last time. But this is what I do. I love it and enjoy every moment it. 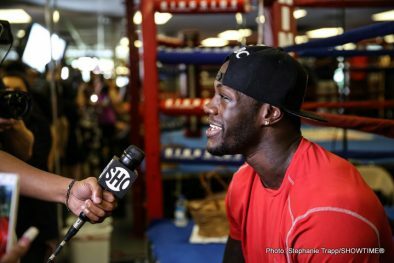 “Molina’s height is something to watch out for. Everybody likes two tall guys in the ring. I’m definitely going to find out if his bark is as big as his bite. Right now his bark is loud. But we’ll see if his bite is as loud as his bark. 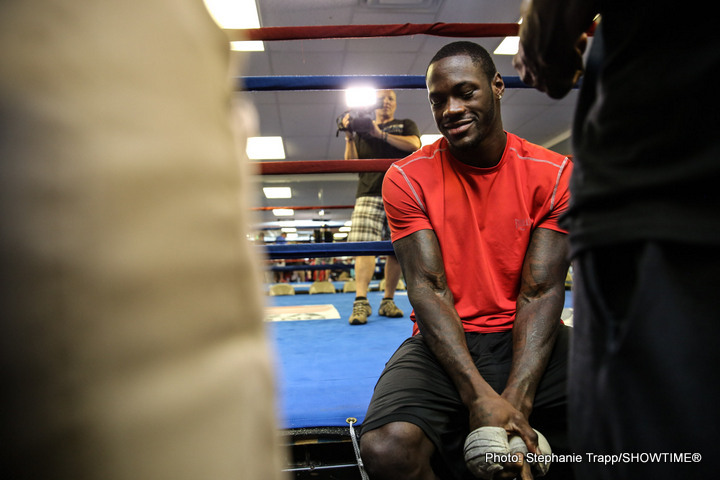 “Deontay is a very strong fighter, a big puncher and a big presence. But just as many strengths as he has, he also has weaknesses. We’re just trying to key in on those weaknesses. “I know this is a big fight for Alabama. I respect that and it’s an honor, but I’m also trying to make history. 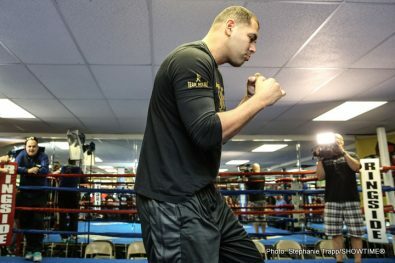 I plan on being the first Mexican-American Heavyweight World Champion. 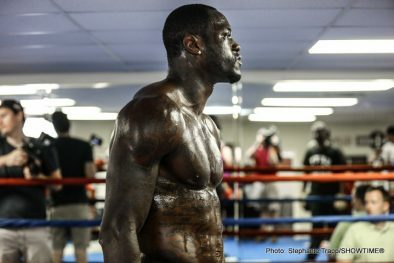 “My mental focus is on the heavyweight world title. When you expect to fight for the world title, you have to come into someone’s backyard and do what you have to put up with pressure. I can handle pressure. “I’ve accepted my role as the underdog. The whole world has written me off. I’ve embraced the role. I’m used to motivating myself. I’ve never been stronger, more focused. I’ve never been more physically, mentally, spiritually strong. I’m ready to go. I’m ready to fight. “This was a long, hard training camp. We began training for this shot in December. We have worked extremely hard and are ready to show the world on Saturday night. 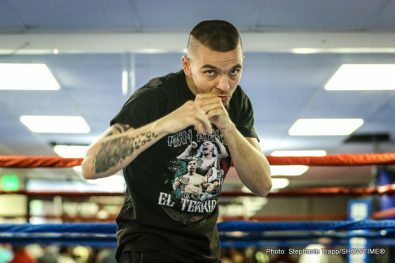 “We have seen video of Klimov and know what to expect on Saturday night. We will take it round by round and break him down. “We can box, or we can bang. Whatever Klimov brings to the table we will be ready for. 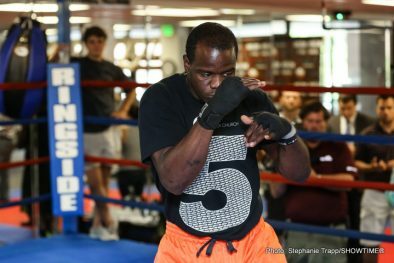 I plan on using my boxing technique to control the pace, but if he wants to stand there toe-to-toe, we are fine with that as well. “This was a great camp. We worked very hard, and trained with a lot of different champions. I came out 100 percent mentally and physically ready to go. 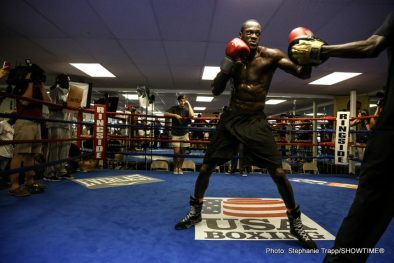 “I feel that the fight with Crawford actually worked to my advantage more than my disadvantage. I learned a lot in that fight and I will use that on Saturday night against Pedraza. 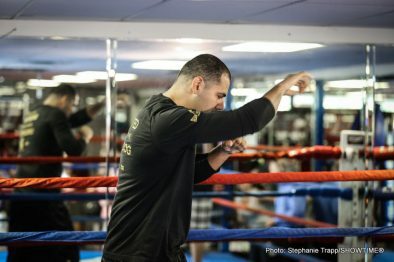 What Pedraza brings to the table on Saturday night I will be ready for it. There will be no surprises on Saturday night, I am ready. “I am very confident going into this fight. Pedraza is a tough opponent but I don’t think he is ready for what I am going to bring. 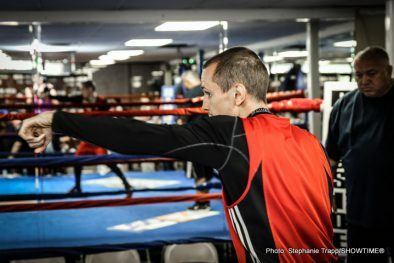 “This was the hardest training camp I have ever had. I have been training four hard months for this fight and I am in the best shape of my career. “Dejan is a very tough opponent. He comes forward and is very aggressive, but he is not as good as me. The world will see that come Saturday night. There is no doubt in my mind that I will be victorious. “We had great sparring for this camp and it has helped us become the absolute best possible fighter we can be going into Saturday night. “I have no doubt and no fear. I am the better, more superior fighter. “This fight will not go to the final bell. I am going to knock Ivan Redkach out. There is no doubt in my mind. 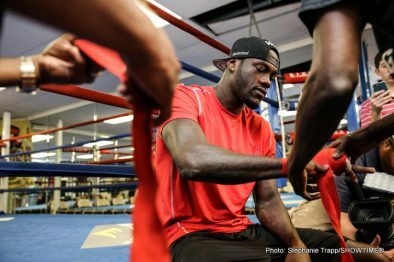 “WILDER vs. MOLINA,” a 12-round fight for Wilder’s WBC Heavyweight Championship, takes place Saturday, June 13, at The Bartow Arena in Birmingham, Ala. DiBella Entertainment and Bruno Event Team have joined forces to bring this event to Alabama. 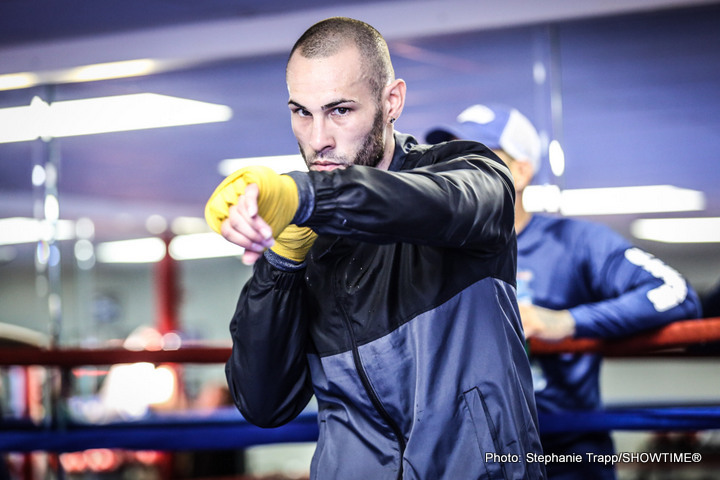 In the co-main event co-promoted by DiBella in association with Universal Promotions, Jose Pedraza will face Andrey Klimov in a 12-round bout for the IBF Junior Lightweight World Title. It will air live on SHOWTIME® (9 p.m. ET/ 6 p.m. PT). The telecast will also be available in Spanish via secondary audio programming (SAP). Preliminary bouts will be televised live on SHOWTIME EXTREME (7 p.m. ET/PT, delayed on the West Coast).